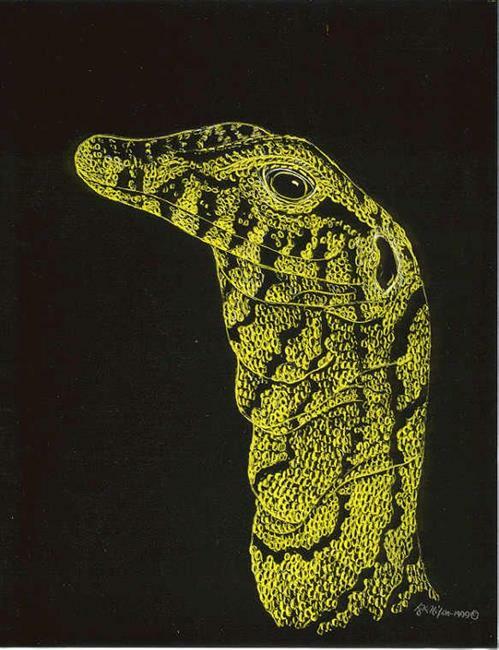 Another in the series of lizard profiles drawn in scratchboard. This young Nile Monitor is much more colorful than the adults or at least brighter, in this species. This is the largest lizard in Africa and is found not only by the Nile, but along most waterways across the continent. Monitors are probably my favorite type of lizards, which is why they appear so often in my artwork.